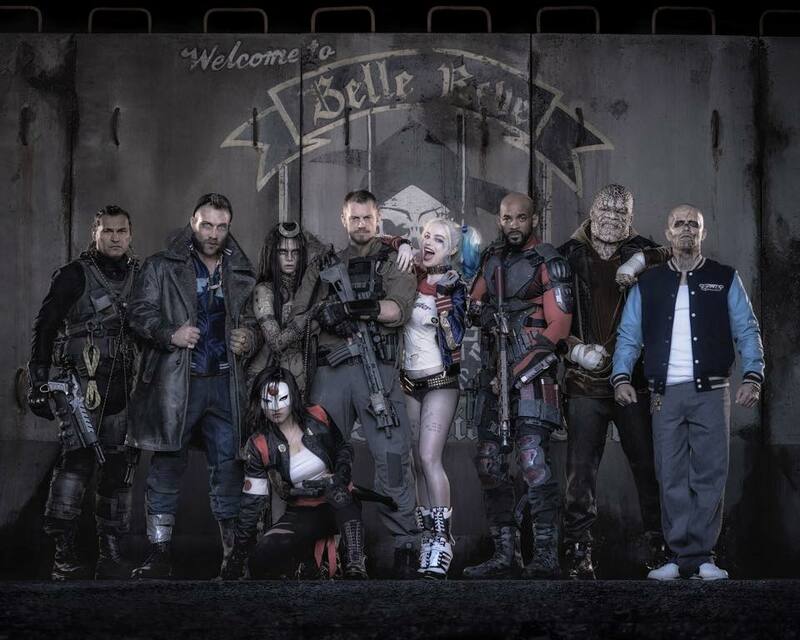 Whilst Joel spent his time watching Avengers: Age of Ultron recently, I have been looking at the cast of the upcoming DC movie for the Suicide Squad, set to air in cinemas in 2016. The choice of villains in this film are fantastic, but let’s get the big one out of the way with first. Jared Leto, like it or not, is confirmed as The Joker for this film. He has starred in some incredible films in the past, such as Requirem For A Dream and Fight Club. He is also in the band 30 Seconds to Mars. I spoke to Joel about this and whilst I am excited, it doesnt look like everyone is as excited as me. 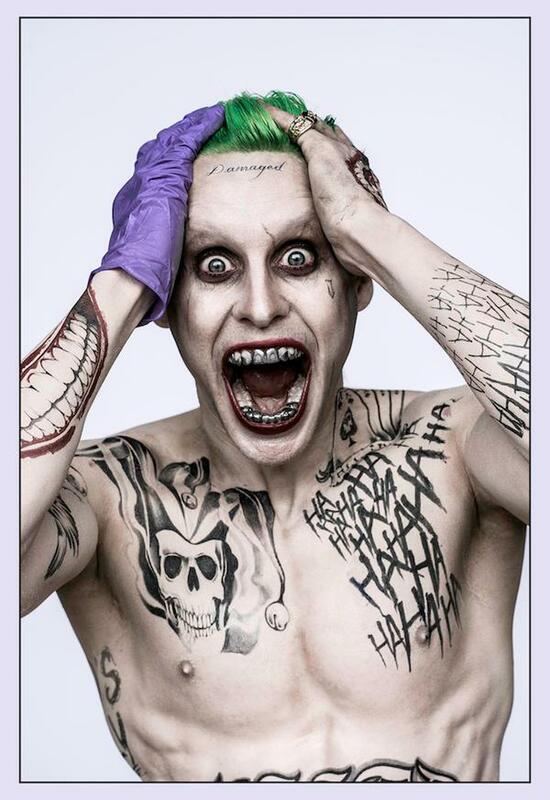 When the tease picture of Jared dressed as Joker appeared, with all of his tattoos and grills in his teeth, I felt like I was looking at a serious Joker contender. He has big shoes to fill in Heath Ledger and even Jack Nicholson, but I believe he has been given a nitty, gritty Joker. Exactly the sort of role that he excels at! Let’s just say that Jared Leto might be the marmite of the Jokers… and I’m looking forward to seeing it! Let’s move onto the biggest star name in the cast: Will Smith. He’s playing as Deadshot, a sharpshooter with two wrist mounted pistols. A big question is how will he fare as a secondary role? Smith cannot be overlooked, however the man has done some stellar performances in previous films. Does this mean that he’ll outshine everyone regardless? Only time can tell this one, but I believe his acting pedigree is strong enough that he won’t even mind playing his role. It’s a damn cool role too. Next up, we have Harley Quinn who is played by Margot Robbie. She has starred not so long ago in The Wolf of Wall Street, which was certainly a success. I love how she has a realistic looking Harley Quinn to play, it suits her as an actress and the theme of the Suicide Squad. No doubt she’s going to take a more central role in the Suicide Squad, but it remains to be seen how the character will cope with going after The Joker. Hopefully like a lost puppy yapping for it’s parents! Also of note are the additions of Echantress and Katana! What a spin we got there. Katana recently appeared on TV, only to then be announced into the Suicide Squad via the tease picture. 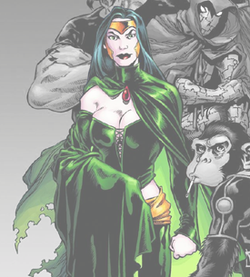 If there’s one thing we can rely on here, that blade won’t be so supernatural… Unless that’s why Enchantress is there. A sort of overlooked baddy, Enchantress has had a heck of a makeover. Will these two work in unison to make a cohesive and pivotal part of the Squad? You can see the drastic change in character design between this version of the character (above) and the original artwork (below). Of course that wasn’t an extensive look at the crew that call themselves the Suicide Squad, but these ones in particular were interesting to note. What do you think of the line-up and the choices of characters? Are you looking forward to this film, or is it another DC blunder? As always, comments below, or over on Facebook/Twitter and let us know: Will you be watching out for the Suicide Squad film in 2016? Welcome back to Cosplayer Highlight, where we delve into the creative minds of some craft-smart people who like to get dressed up, becoming a character… and they also tell us why they do what they do! This week we’re joined by Moonset Cosplay, the partner of Lion Pride Cosplay. I’ve seen this guys works and honestly, he does some amazing cosplays from comics (Marvel/DC). Along with Rebecca, we’ve been spoilt by an incredible cosplaying duo. It’s time for us to see the other side of the coin of these two, because we’re about to see some amazing hero and villain cosplays, along with our usual hard hitting questions (that really aren’t hard hitting at all). With all this said and done: It’s time for us to get back into the swing of things and question our next interviewee! Welcome back to Cosplayer Highlight, where we speak to members of the cosplay community about their experiences, backgrounds and get advice from them for anyone intrigued enough to try cosplay. We’re on week three and this week we’re speaking to a wonderful cosplayer who I first met over on Facebook. We got talking about the series and having looked around their page, honestly… There are some gems in there. So it’s with pleasure I introduce to you our next amazing cosplayer… Rebecca Carter from Lion Pride Cosplay.